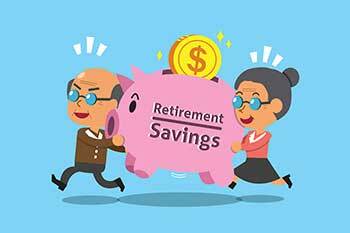 Planning for retirement is an imperative for one and all, especially in view of the longer life span, ever increasing inflation leading to rising cost of living and the increasing costs of medical treatment and hospitalisation. But not many people plan their retirement well in advance due to various reasons, one of them being lack of awareness about where to invest. Provident Fund (PF) and Public Provident Fund (PPF): These are all-time favourites because they are the safest and the best. PF is for the salaried, while independent professionals, businessmen and all other non-salaried persons can go for PPF. Insurance: Endowment insurance policies are most suitable for retirement planning as the insured gets the insurance cover during the term of the policy and a lump sum amount on maturity of the policy. So, an endowment policy offers dual advantage of insurance cover during the tenure of the policy and savings over the long term in the form of lump sum maturity amount. Fixed deposits: Fixed deposits of banks, financial institutions and large companies are relatively secure and provide regular income to the depositor. The FDs are convenient and can be opened at nearby bank branches or even online nowadays. The FDs can be opened for a term of upto 7 years and the interest on the FDs and the principal amount (on maturity) can be directly credited into the bank account of the depositor. Mutual funds: Mutual funds offer a wide variety of investment options such as equity funds, debt funds, retirement funds, etc. The choice of funds will depend on the needs of the investor, the investment time frame and the risk profile of the investor. Mutual funds offer the benefits of the expertise and knowledge of the professional fund managers. Real estate: Real estate is a good retirement planning option available for investment over the long term. Property prices usually appreciate over the long term and it makes good sense to invest in property if one has large amount of spare cash and does not need it in the near future. Equities: Investing directly in equities is a risky proposition, but if one begins early and invests for the long term, equities can reward the investor handsomely. From retirement perspective, the best approach is to buy stocks of large cap companies from diverse sectors with decades of good track record of financial performance and corporate governance with excellent management bandwidth and keep these stocks as family treasure till the time of retirement.